Perfectly serviceable booster, fairly unremarkable but a very good pint of Youngs. 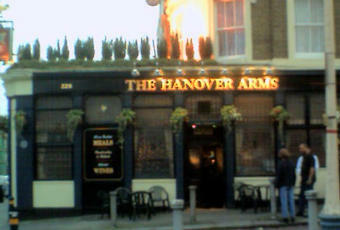 Convenient for a pint after watching that Pietersen character annihilate the Leicestershire bowling. Popped in here for during lunch while at the cricket. Had the best pint of Youngs Ordinary I've had in years, even if it was around �3.30 a pint. They also had Bombardier on. Don't know if it serves food. You can sit outside on a side street on garden furniture which is pleasant if the weather's good. Always a pleasant pub, postioning and running.